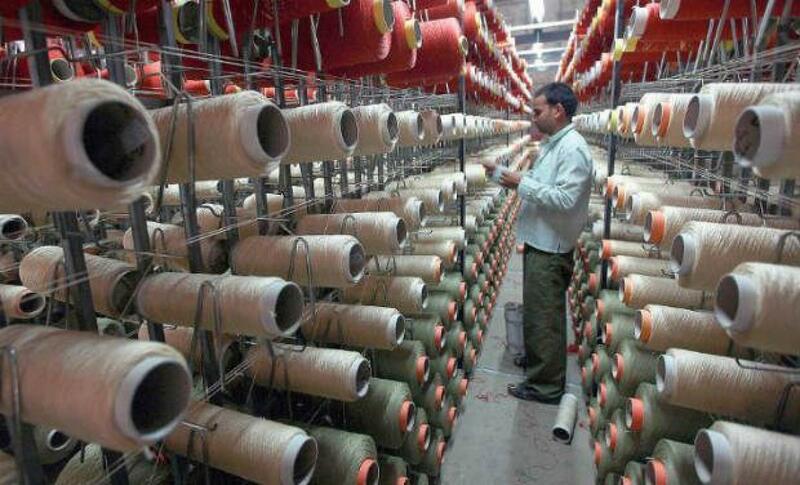 India\'s services industry grew for a second month in August but optimism fell to its lowest level since late 2005, a survey showed on Thursday, keeping pressure on the Reserve Bank for another rate cut later this month to bolster a slowing economy. The Nikkei/Markit Services Purchasing Managers\' Index rose to 51.8 in August from July\'s 50.8, marking a second month above the 50-level that separates growth from contraction. India's services industry grew for a second month in August but optimism fell to its lowest level since late 2005, a survey showed on Thursday, keeping pressure on the Reserve Bank for another rate cut later this month to bolster a slowing economy. The Nikkei/Markit Services Purchasing Managers' Index rose to 51.8 in August from July's 50.8, marking a second month above the 50-level that separates growth from contraction. However, concerns over future economic conditions sent the sub index measuring business optimism down to 53.3, its lowest since the survey began. The relatively downbeat survey, coupled with low inflation and disappointing economic growth in the March-June quarter, is likely to add to calls for the Reserve Bank of India (RBI) to cut its key repo rate again at its Sept. 29 meeting. "With growth remaining relatively weak and survey evidence pointing to a lack of inflationary pressures across the country, further rate cuts are on the cards," said Pollyanna De Lima, economist at survey compiler Markit. The RBI has already trimmed interest rates three times this year and with consumer price inflation at a record low 3.78 percent in July, Governor Raghuram Rajan was already under pressure to ease again. Rajan is being pressured by government officials clamouring for another rate cut as early as this month but the governor has continued to urge caution as the monsoon season is not yet over. New business did accelerate in August, the survey showed, boosted by higher demand and capacity improvements, but after three months of job creation firms kept staffing levels steady. "While the path ahead for the economy looks unclear, firms' reluctance to hire persists," De Lima said. Gross domestic product grew 7.0 per cent in the quarter ending June, disappointing economists who expected 7.4 per cent, as the government continues to struggle to implement key tax and land reforms. A survey of the manufacturing sector found factory growth slowed in August, despite selling prices falling at the fastest rate in over six years.